We’re no longer accepting submissions. Thanks to everyone who submitted films for consideration in the 2019 Festival (you’ll hear more from us soon). We’ve streamlined our submission categories into Features (films 30+ minutes) and Shorts (films under 30 minutes including those created by filmmakers 17 and under, as well as local filmmakers). As a Canadian film festival, we will only consider submissions of Canadian films by Canadian filmmakers. You can read the full eligibility criteria below and email us if you have questions. 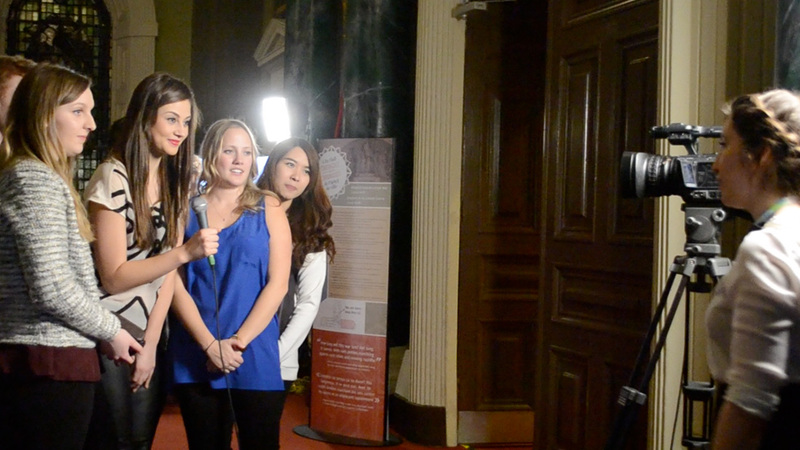 Are you a Kingston-based filmmaker? We’ll waive both the features and shorts submission fees for local filmmakers currently living in the Limestone City. Screening your film to our audience is just the beginning! We also hand out a few awards at our Closing Night Awards Ceremony and some include cash, prizes, and all come with bragging rights for an entire year. You can explore the list of awards and you can take a look at previous KCFF winners here. Only submissions of Canadian films by Canadian filmmakers will be considered. If you have an arguable connection to Canada and are not a Canadian filmmaker, please email us. Selection will be based on quality and form. Films must be new releases that have not been submitted to KCFF in the past. Preference given to films making a premiere: international, national, provincial, regional, local. Films must be in English or in the original language with English subtitles. It is possible to submit a working copy of a film; please email us for more info. 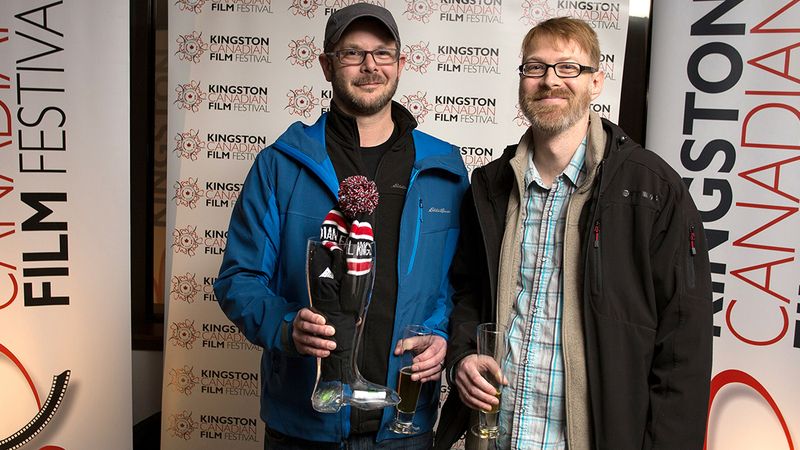 Local filmmakers must be currently residing in Kingston or have a strong connection to the area deemed appropriate to KCFF. Please explain connection on the submission form. Feature Films: presentation formats are composite DCP (jpeg200mxf) and BluRay. Short Films: we require a digital copy of your film to be used for festival screening purposes. An online link to an HD .mp4 file using the H264 codec is the preferred format. The video link must be active until March 4, 2019. For more information follow Vimeo’s compression guidelines for HD films. Available press materials must be shipped to KCFF upon notification of selection. The filmmaker grants permission for the use of all publicity materials (including preview BluRays and DVDs) to be used for promotional purposes, unless otherwise noted. Scheduling of screening dates, times, and locations is at the sole discretion of KCFF. Films will automatically be considered for any relevant awards for the appropriate category. We encourage all filmmakers to attend on behalf of their film, if possible. Please contact KCFF staff to arrange travel, tickets, and other details. best feature film, voted on by KCFF audiences. best locally produced short film, voted on by a jury. best locally produced short film by youth filmmaker, voted on by a jury.